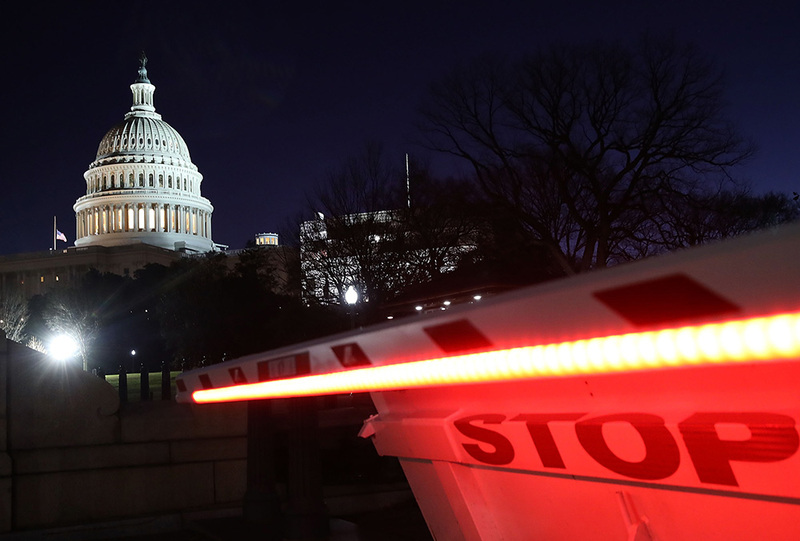 In Foreign Affairs, economists Jason Furman and Lawrence Summers take on "deficit fundamentalists" and assert that "it's time for Washington to put away its debt obsession." To which even casual observers may respond, "what debt obsession?" The national debt has more than doubled from $10 trillion to $21 trillion since 2008, and is projected to surpass $37 trillion within the next decade. Over the next 30 years, the Congressional Budget Office (CBO) forecasts an $84 trillion avalanche of new debt. Washington's only "debt obsession" is to increase debt. The crux of their argument is that low interest rates make servicing national debt generally affordable for taxpayers, and that a growing federal debt will not crowd out investment or significantly burden taxpayers with interest costs. Indeed, interest rates have remained low even as the debt has grown from 39% to 78% of GDP over the past decade. Yet the interest costs are projected to increase rapidly even if rates remain low. Interest on the national debt — which cost taxpayers $263 billion in 2017 — is set to soar past $1 trillion by 2029 under the CBO's current-policy baseline. That is $1 trillion in federal spending that will not feed any children, provide medical care for any seniors, maintain any infrastructure, or assist any troop. Within three decades, CBO projects that interest on the national debt will match Social Security as the largest federal expenditure — larger than Medicare, and twice as large as defense. By that point, one-third of all federal taxes will go to paying interest on the debt. These estimates also assume that the average interest rate paid on the federal debt — which averaged 6.9% in the 1990s and 4.8% in the 2000s — will never again rise above 4.4 percent despite all the new debt. Hopefully, Furman and Summers are correct that rising debt will not push up interest rates. But what if they are wrong? CBO estimatesthat each one percentage point rise in interest rates adds $1.8 trillion in higher interest expenses over the decade — similar in cost to the 2017 tax cuts. Over 30 years, each one percentage point interest rate increase adds roughly one percent of GDP in budgetary interest costs. So a 3-percentage point interest rate increase would cost taxpayers as much as an additional Defense Department. It would be extraordinarily irresponsible for Washington to continue borrowing at this rapid pace on the hope that interest rates remain low forever. Furman and Summers claim that long-term deficits are primarily driven by tax cuts and collapsing revenues, rather than rising entitlement costs. The CBO clearly shows otherwise. Let's begin in 2000, which was the last year before budget surpluses were compromised by tax cuts, 9/11 costs, and retiring baby boomers. CBO projects that, between 2000 and 2048, spending on Social Security and health entitlements will surge from 7.1% to 15.5% of GDP. By contrast, tax revenues — which were 20% of GDP in bubble-inflated 2000 — are set to average 18% of GDP (or 17.5% if the 2017 tax cuts are extended) between 2000 and 2048. Clearly the 8.4% of GDP entitlement cost increase is driving deficits much more than a revenue dip of, at most, 2.5% of GDP. The authors contend that post-2000, tax cuts have robbed what would have been a 3% increase in GDP revenue due to "real bracket creep," whereby rising inflation-adjusted incomes push families into ever-higher tax brackets. Setting aside whether cancelling these automatic tax rate increases should be classified as pure tax cuts, the fact remains that 3% of GDP in tax cuts are still dwarfed by an 8.4% of GDP entitlement cost increase. It is simply not true that falling revenues or tax cuts are the lead drivers of long-term deficits. Moving on to policy recommendations, the authors seem a bit muddled. As background, the debt has risen from 39% to 78% of GDP over the past decade, and is projected by CBO to surpass 150% of GDP within the next three decades, even if the 2017 tax cuts expire. On the one hand, Furman and Summers see no problem with this trendline. They assert that "politicians and policymakers should focus on urgent social problems, not deficits." They add that cutting entitlements "is a mistake," that Social Security should not be cut at all, and that a laundry list of liberal initiatives means that "the federal government will clearly have to spend a lot more." In fact, they advocate a "simple approach" that keeps the debt on a path to 150% of GDP. Budgetary offsets would be required only of additional tax and spending legislation on top of this trendline — and only during periods of economic growth. Furman and Summers describe this path — with a debt-to-GDP ratio that grows forever — as "sustainable." Yet in the same article, they admit that the "debt cannot be allowed to grow forever" and "it would be imprudent to allow the debt-to-GDP ratio to rise forever in an uncertain world." Therefore "it would be prudent to keep government debt in check in case they turn out to be more harmful than expected." It is not clear how they reconcile these seemingly contradictory frameworks. Furthermore, while asserting that "the federal government needs to raise more revenue" to pay for these additional initiatives, the authors do not grapple with the lack of any plausible tax options that could finance even a fraction of the $42 trillion liberal wish list. Nor do they identify what remaining tax options — after financing some of this wish list — would remain available to address the underlying baseline deficits in the event that a debt crisis eventually does occur. Finally, the authors assert that all new initiatives should be offset because "if something is truly worth doing, it should be worth paying for." Yet they undermine themselves in the next paragraph by suggesting exemptions for their own priorities. Furthermore, why does the principle of "if something is truly worth doing, it should be worth paying for" apply only to new initiatives? Aren't existing programs like Social Security and Medicare — which face enormous cash shortfalls moving forward — also worth paying for? On policy, it is reckless for Washington to make long-term spending commitments — and refuse to phase-in spending restraint — on the hope that interest rates will remain low forever. The interest costs on the national debt are set to soar even with low interest rates and it would be extraordinarily expensive and painful to impose deep fiscal consolidations down the road if America does hit a debt crisis. An ounce of prevention is indeed worth a pound of cure. Just ask Greece. 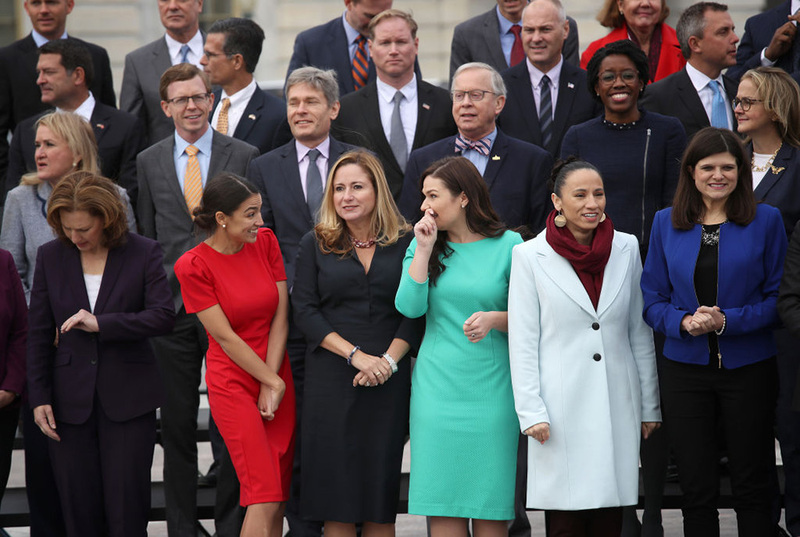 On politics, Washington just cut taxes by $2.5 trillion, increased spending by $2.5 trillion, and has a party promoting an unprecedented $40 trillion spending spree. All the spenders need is an academic justification for their dangerous political pandering. 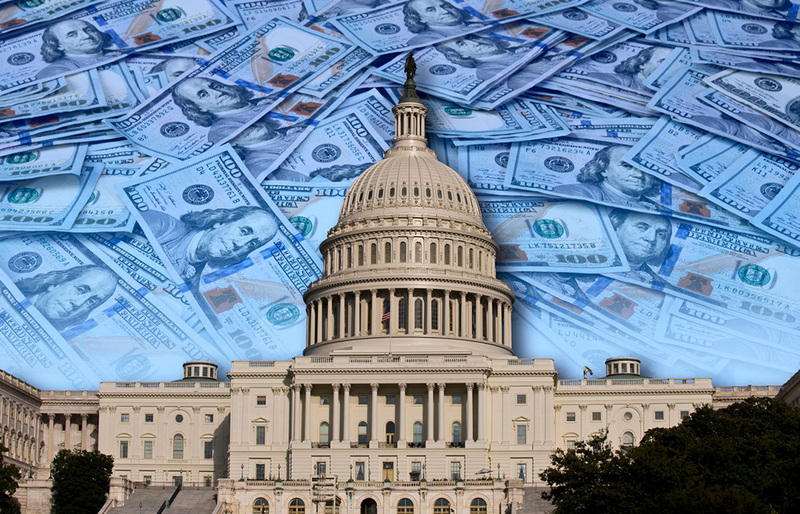 Modern Monetary Theory (MMT) — which encourages funding new initiatives by printing money — is increasingly popular in Washington because it gives politicians permission to ignore trade-offs and be irresponsible. The authors admirably criticize MMT, yet their assertion that "politicians should not let large deficits deter them" from expensive initiatives has the same effect. 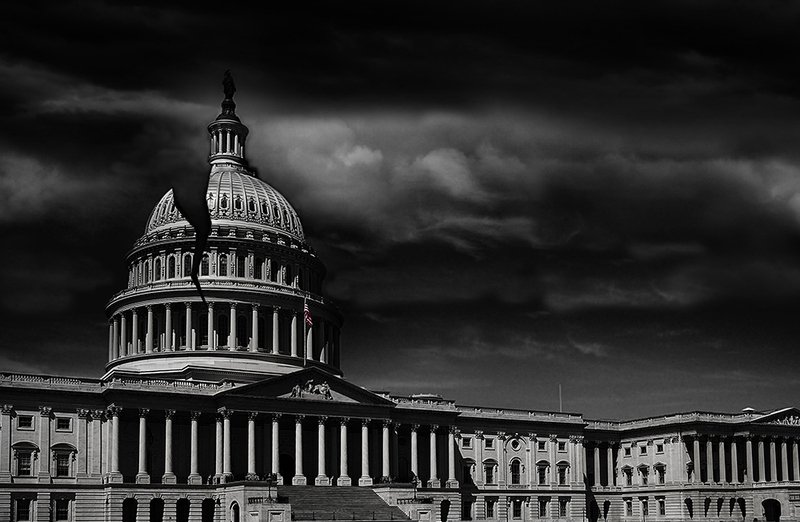 Any nuance will be ignored, and Washington will stampede towards irresponsibility – just in time for the 2020 campaign. Brian M. Riedl is a senior fellow at the Manhattan Institute. Previously, he worked for six years as chief economist to Senator Rob Portman (R-OH) and as staff director of the Senate Finance Subcommittee on Fiscal Responsibility and Economic Growth. Follow him on Twitter here. This piece was adapted from Economics21.